Having 3 little kids living under the same roof can sometimes be a daily challenge when it comes to organization. I’m that kind of person that likes to have my drawers flawless, my shoe boxes by size, my spoons to the right and forks to the left, my shirts on the closet by colors, and so on (please don’t freak out!). One of the places that gives me the chills every time I open it is the entryway console. Since we moved to our new home, all the things that don’t find a place to hangout, end up hiding in this small piece of furniture. By the look of this photo you can now understand my situation. My youngest daughter loves making puzzles, the one in the middle adores coloring books and the rest of the space is consumed by school materials for my eldest and MY STUFF! To start the “Console Rescue Mission”, I emptied the space and gave the inside a simple coat of paint to make it seem clearer. All the clutter fit in 3 Rectangular Collapsible Baskets from BHG at Walmart. For the second part of this mission I divided all the stuff by categories and recycled the ones that were no longer needed. Now that everything was in order, I bought online 3 BHG Galvanized Storage Bins and a Magazine Basket to place these items. 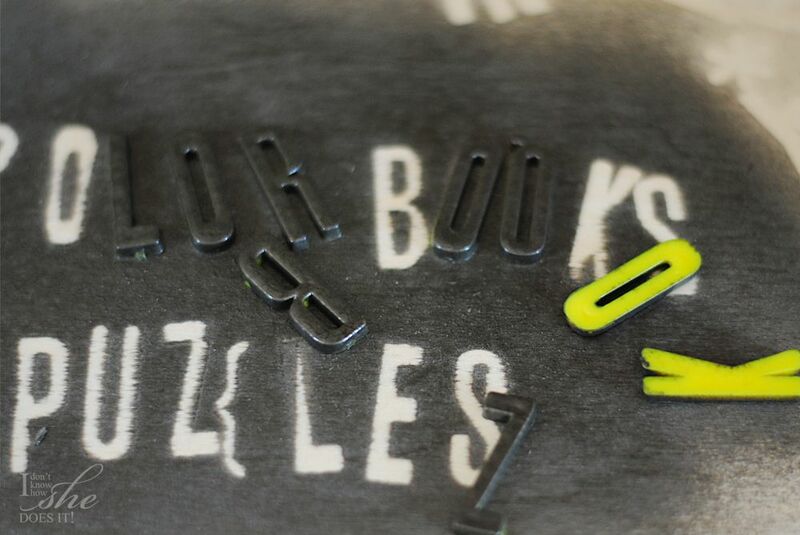 To make it easier for my daughters and me to identify each storage, I spray painted some plastic letters and glued them to some of the bins. 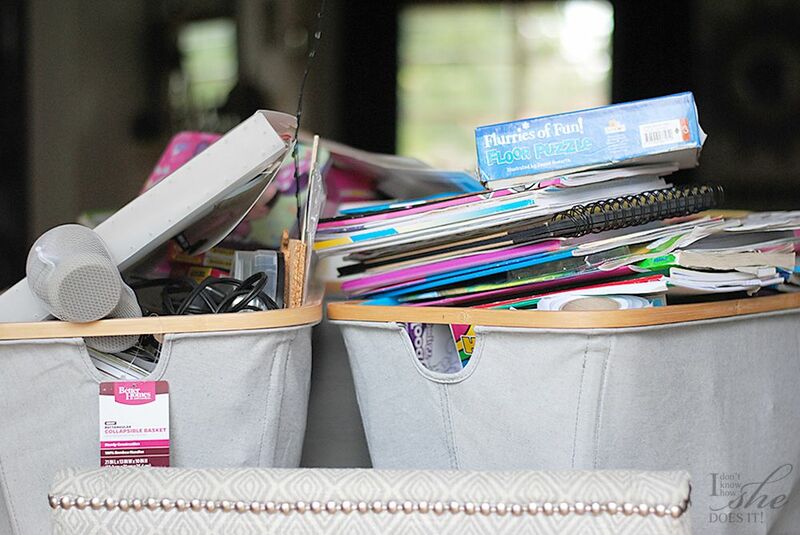 These bins are easy to take out every time kids want to make “Puzzles” or use the “Coloring Books”. I’ve identify them so that they can relate the words with what’s on the inside. 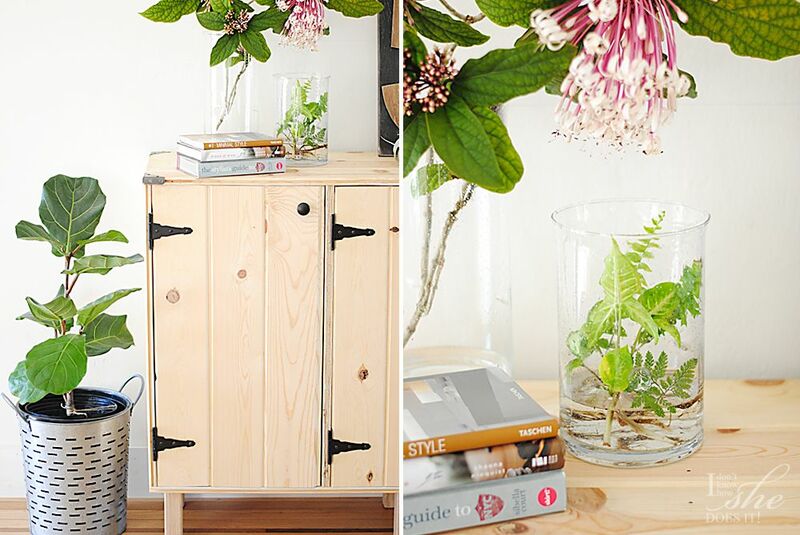 Because this piece of furniture is on my entryway, I decided to style it using accessories also from BHG at Walmart. I used as a planter a Galvanized Round Bin for my Fig tree and as flower vases, my Hurricane Pillars Candle Holders from this previous post. 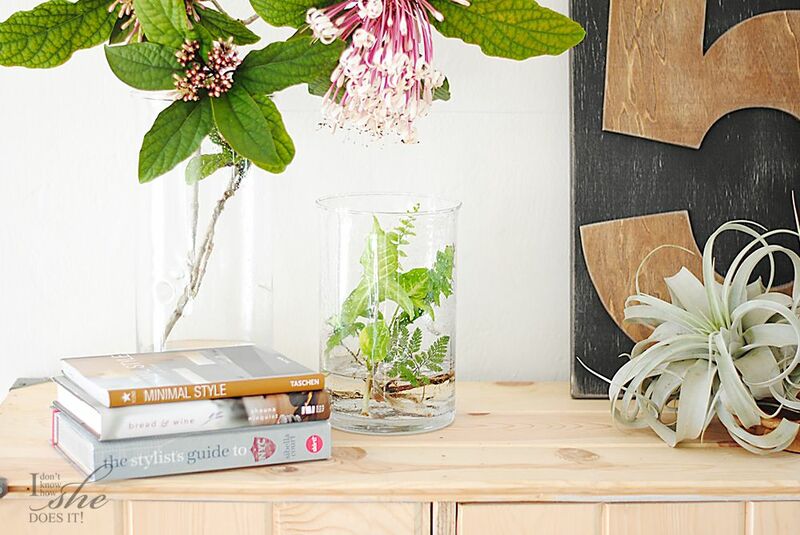 Wild and fresh flowers do best on clear vases. 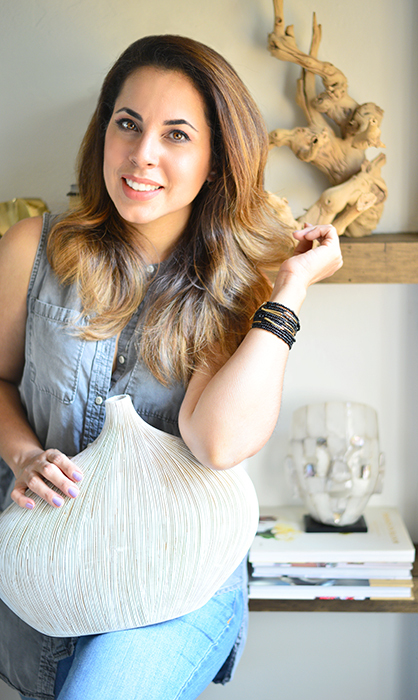 I love keeping them near my entryway so my guests can feel welcome when they come to visit us. Ooh, awesome giveaway!! I could definitely use some more organization in my closet!! My kitchen is screaming to be organized!! Actually the whole house needs an overhaul! Oh I just LOVE what you did with this console. Those buckets with the letters are adorable and I love how you put a plan in that galvanized bucket. So clever! I am looking forward to organizing my family room. deally every room, but especially my spare room. 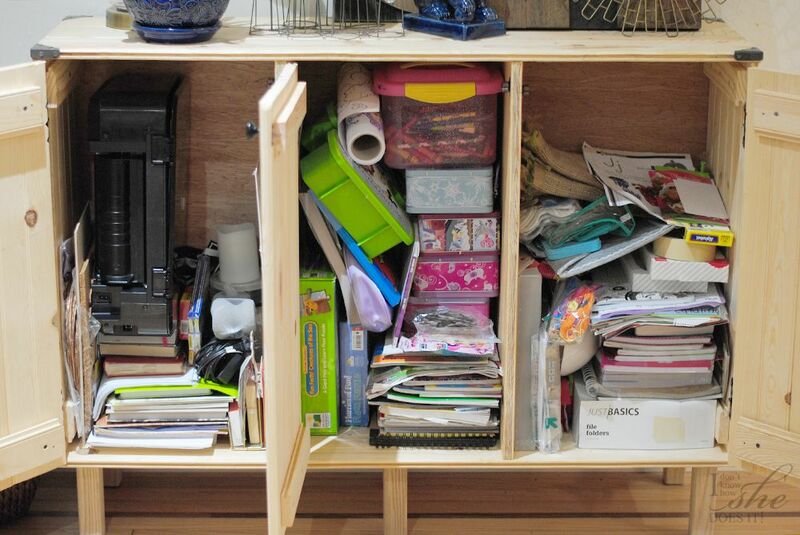 It started out as a few boxes, and has morphed into an eyesore of a storage bin. If it was organized with pretty organizers, it would be more efficient and more fun! My laundry room is a disaster! Oh I would love to organize our toy room!!! 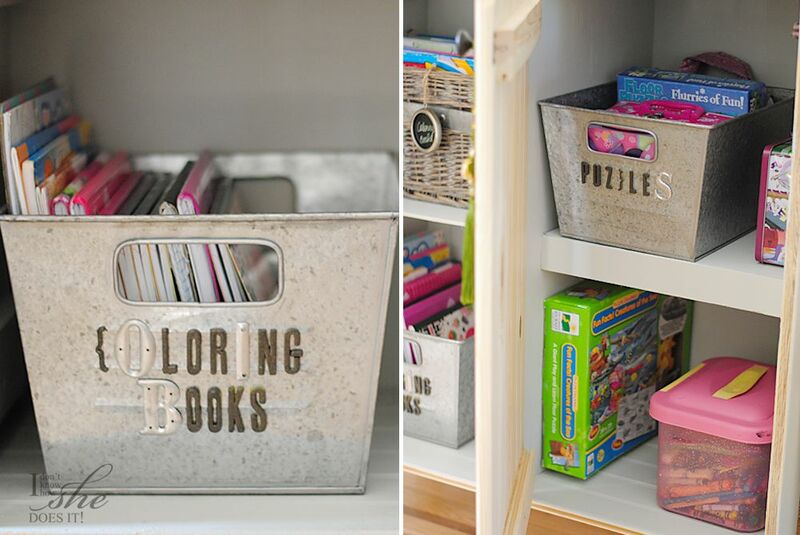 I love those Galvanized Storage Bins you used! Those would be perfect to get some of ours organized! I would love to get my bedroom organized!